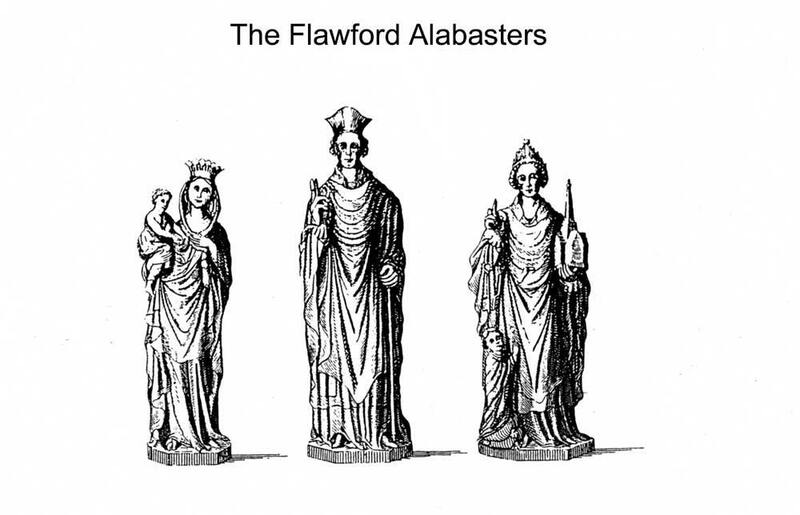 The Flawford Alabasters are the best examples of free standing statuettes of the late fourteenth century. The statuettes are quite unlike those of the usual alabaster figures in the careful treatment of the features especially the eyes. Accurate dating is not possible but it is unlikely to be later that 1370 because of the treatment of the drapery. 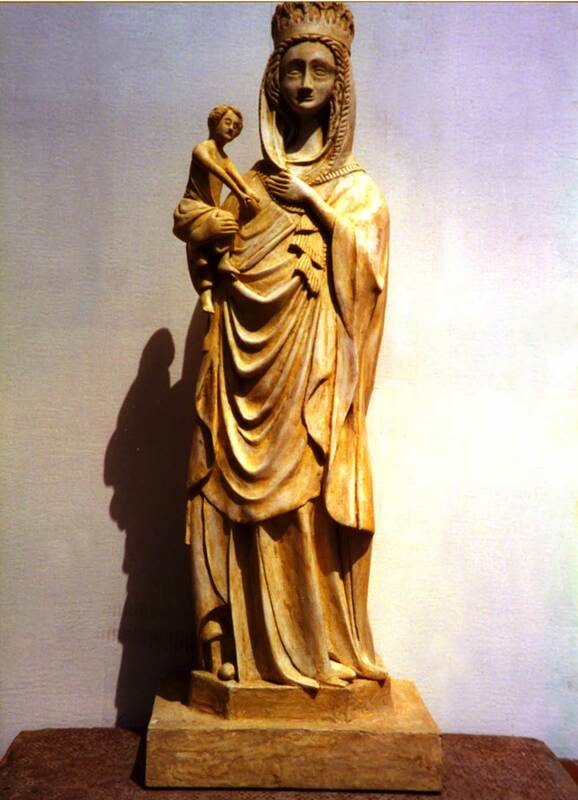 The Virgin is in the elaborate draperies of the standard French Court style of 1340.